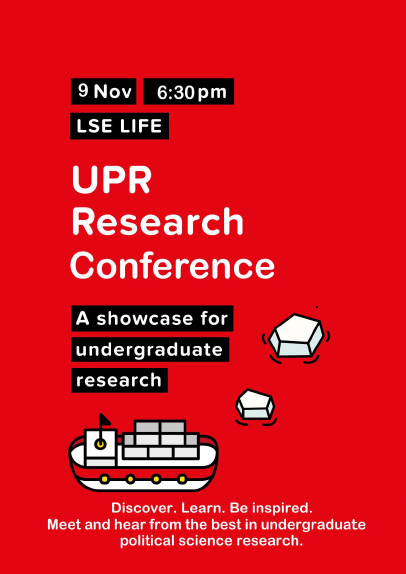 Calling all students interested in LSE’s best undergraduate academic research! Discover. Learn. Be inspired. From populist rhetoric to polygamy and justice—meet and hear from the best in undergraduate political science research! Thursday November 9th marks the Undergraduate Political Review’s (UPR) second annual dissertation conference, where four of the Government department’s top students will present their research papers. These papers will be presented by their authors, and then followed by comments and evaluation by senior members of LSE’s academic staff. The conference is an excellent opportunity to listen to in-depth analysis of undergraduate work, bridging the research gap between staff and students. 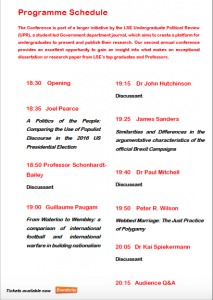 Given the topics covered – nationalism, populism, Brexit, the 2016 US Presidential election, polygamy and justice – there is something for everyone! 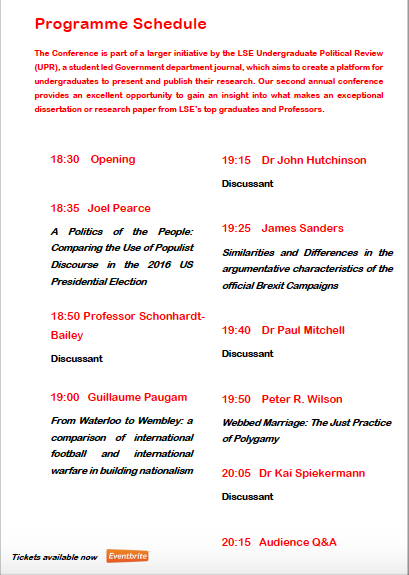 The conference will conclude with a Q&A (along with some refreshments), giving you the chance to gain an insight into what makes a top dissertation or research paper. The event is suitable for students of all years, whether you are interested in exploring some of the leading topical issues, or just want to learn more about how to write a successful dissertation or research piece (and what pitfalls to avoid!). 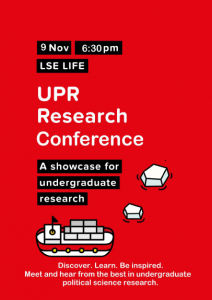 Attendees of last year’s conference remarked how the event had inspired them to begin research projects and/or take further study/research (for a re-cap of the 2016 conference, see: https://blogs.lse.ac.uk/government/2016/12/01/a-friday-night-of-student-research/). Come along for your own inspiration! Reserve your place at the Conference with a free ticket!